Last week was all about protein- beef, pork, lamb, chicken & duck. We fabricated, portioned & cooked them all in several different ways. I was up to my elbows in flesh and bones, so I didn’t get a lot of pictures of the process. I did get pics of the finished plates though and they were delish ! James really enjoyed this week. We were learning to plate our dishes, so each one is a different set up. 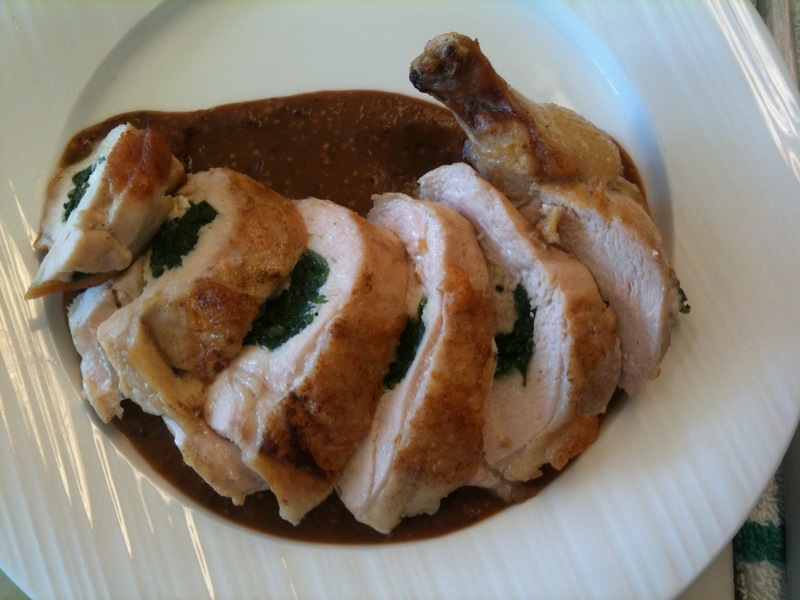 Chicken Breast stuffed w/ saute’d Spinach and Goat Cheese atop Sauce Robert. 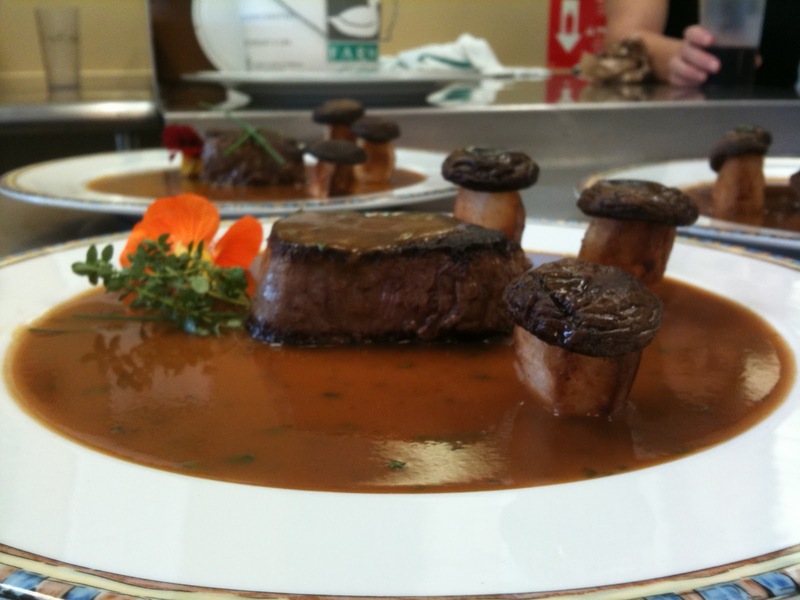 Petit Filet Mignon – Chateaubriand Sauce, the funny looking toad stools are tourned, a fancy way to cut potatoes, with Shitake mushroom tops. 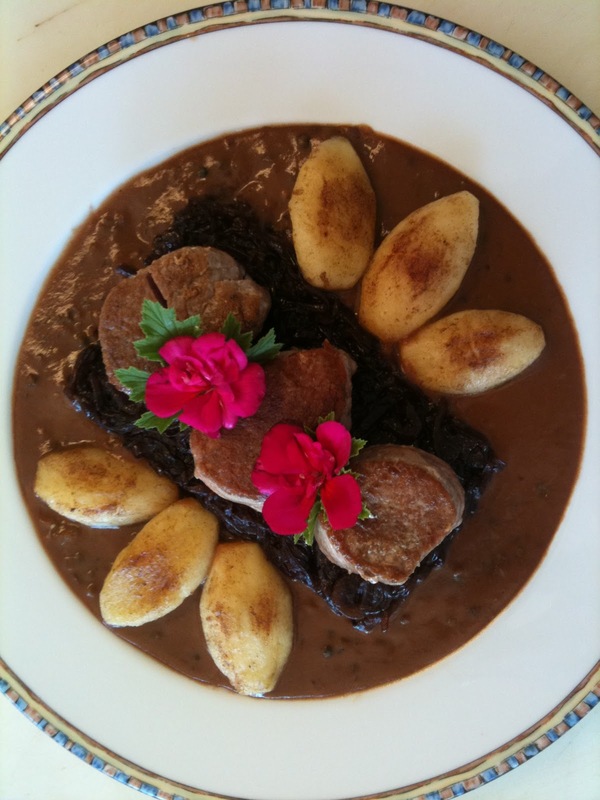 Pork Medallions atop Red Onion Confit, Baked Apples with Green Peppercorn Sauce. 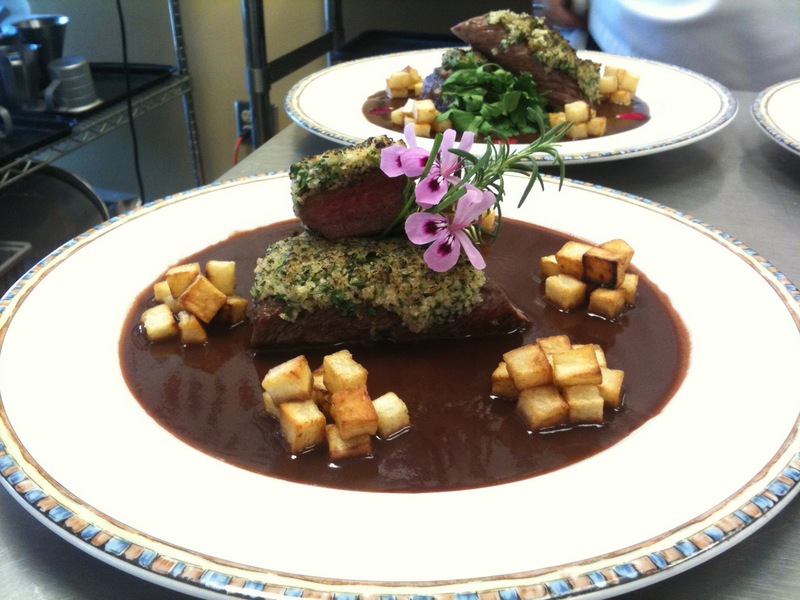 Crusted Lamb Loin, Roasted Potatoes with Marchand de Vin Sauce. We also did Lamb Stew and roasted a whole duck. Super yummy week.